What Are the Similarities & Differences Between the Sun & Jupiter? What Type of Star Is the Sun? 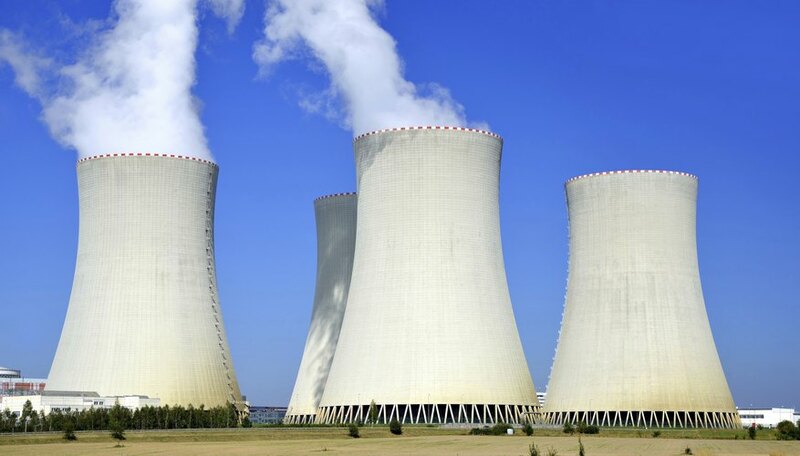 What Is Nuclear Energy Used For? Nuclear energy is derived from uranium, a radioactive element. When the nucleus of an atom of U-235, an isotope of uranium, is split by a neutron, it releases heat and other neutrons. These released neutrons can cause other nearby U-235 atoms to split, resulting in a chain reaction called nuclear fission that is a potent source of heat. This heat can be used to generate steam, which powers turbines to provide electricity on an industrial scale. Approximately 12% of the world's energy is derived from nuclear fission in nuclear reactors. In total, 430 nuclear reactors now operate in 31 countries, with 70 more currently under construction worldwide. 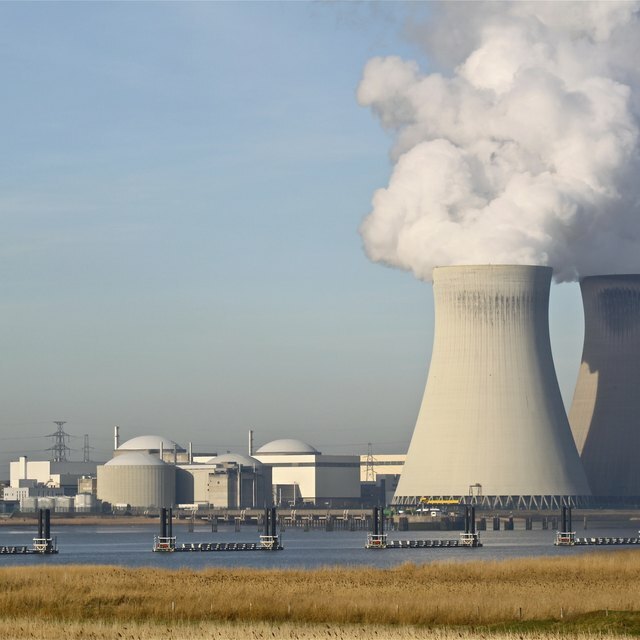 France is the world's leader in nuclear power, generating three-fourths of its total electricity using nuclear reactors. The United States, by comparison, obtains about one-fifth of its electricity from nuclear power. Some countries such as Sweden and Russia also use the heat generated from nuclear fission to directly heat homes and buildings. Nuclear energy has other applications as well: 200 smaller nuclear reactors power 150 ships worldwide, including nuclear submarines, icebreakers and aircraft carriers. World Nuclear Association: What is Uranium? How Does it Work? How Are Elements Formed in Stars? Roman, Max. "What Is Nuclear Energy Used For?" Sciencing, https://sciencing.com/what-nuclear-energy-used-4588547.html. 24 April 2017.